﻿We've received your payment for an online wellness consult. ​We are committed to getting back in touch with you within the next 24 hours. In the meantime, in about 5 minutes, you'll receive an email from us, summarizing your request, a link to schedule and register for your online consult, as well as some additional information our patients find helpful. "When I began physical therapy with my physical therapist at LeBauer Physical Therapy, I was experiencing lower back, hip and knee pain that was causing a decrease in my quality of life. Frequently I would get out of bed in the morning with lower back pain and I began to experience it almost constantly while driving or sitting for long periods. My attempts at "fixing it myself" by tweaking my yoga and exercise practices were not having lasting or consistent results. Upon our initial consultation, they quickly diagnosed the source of my physical pain and he used myofascial release techniques that were very gentle, more like massage than what I imagined physical therapy to be. 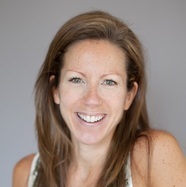 I am now pain free and have a good understanding of how to remain that way in terms of my skeletal alignment and fascia release techniques I do at home. 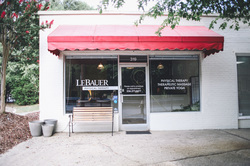 I recommend LeBauer Physical Therapy highly and without reservation." From the first visit, I felt a difference in my body. I had no idea how much tightness I had in my back, hips and glutes. They gave me homework to do and I was very consistent. My therapist is always so patient with me and takes the time to explain to to properly do exercises/movements and what it should feel like. During most of our visits, I ask him so many questions, and he always has an answer or solution. They even takes the time to understand my physical needs for my figure skating hobby. Since seeing them, all of the problems I came there for are basically gone. I am sleeping so much better because I don't wake up from having any pain. "